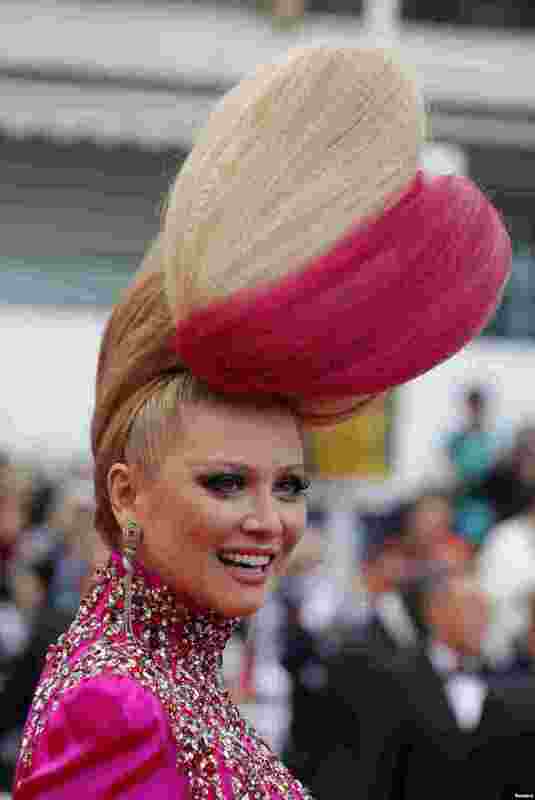 5 TV personality Elena Lenina poses on the red carpet as she arrives for the screening of the film "Ma loute" (Slack Bay) in competition at the 69th Cannes Film Festival in Cannes, France. 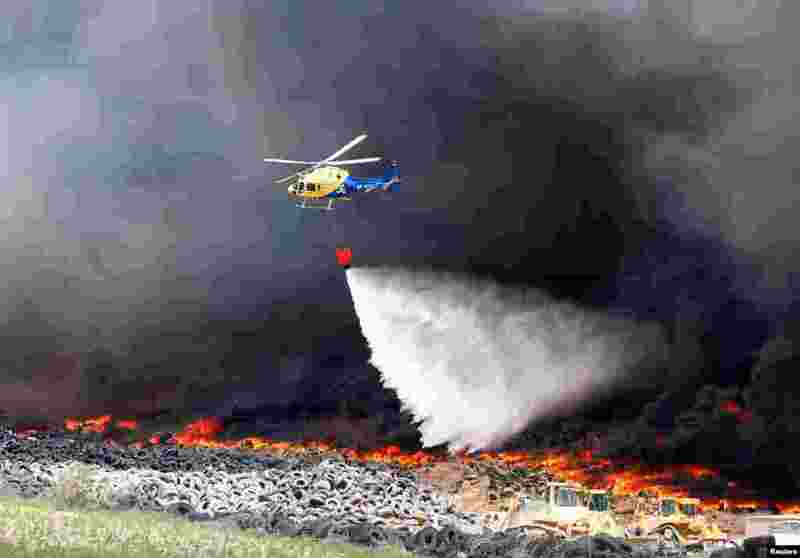 6 An helicopter throws water over a fire at a tire dump near a residential development in Sesena, south of Madrid, Spain. 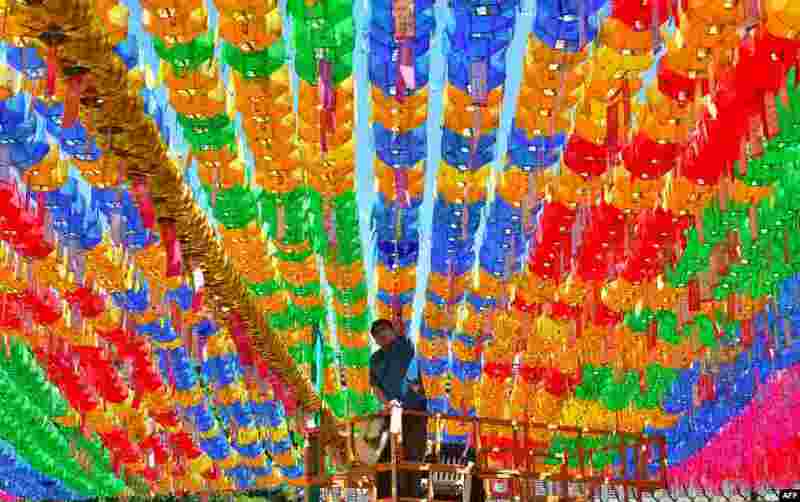 7 A South Korean worker attaches name cards with wishes of Buddhist followers to lotus lanterns ahead of the Buddha's birthday at Jogye temple in Seoul. 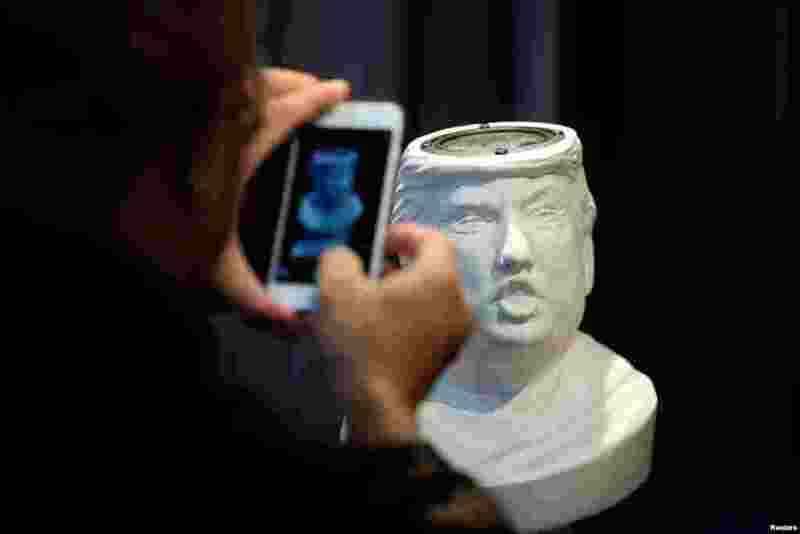 8 A man takes picture of a Sound Of Power speaker in the shape of a bust of Donald Trump is displayed at the CES (Consumer Electronics Show) Asia 2016 in Shanghai, China.